Spain has comprehensive privacy legislation, although it relies heavily on registration requirements that could act as a barrier for cloud computing services. Spain has up-to-date cybercrime legislation and has ratified the Convention on Cybercrime. Spain also has comprehensive electronic commerce and electronic signature legislation, and Internet service providers (ISPs) are free from any Internet filtering or censorship. 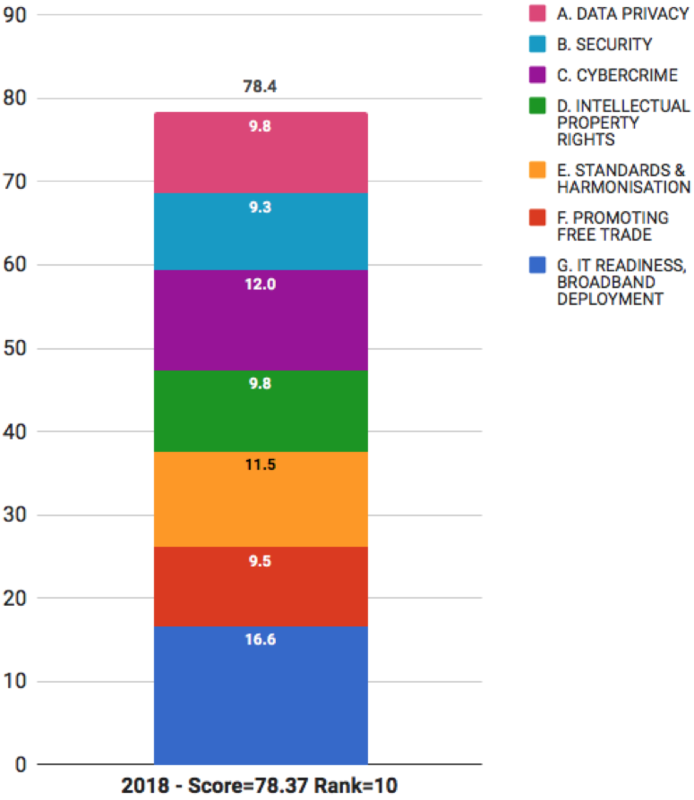 Some minor gaps exist in intellectual property protection, and enforcement is poor particularly in relation to circumvention of technological protection measures. Spain is a very active participant in international forums and supports international standards development and interoperability. Spain recorded significant gains in information technology (IT) infrastructure in recent years. In the Digital Agenda for Spain, released in 2013, Spain reaffirmed its commitment to achieve the European Commission set targets for all households to have download speeds of at least 30 Mbps by 2020, and 50 percent of households at 100 Mbps by 2025. Spain’s overall scores remained fairly steady. The country’s position in the Scorecard rankings improved slightly — to 10th in 2018 from 11th in 2016. - 9th for IT readiness and broadband deployment.